Tecnal's Basic and Premium lines bring you a full range of pasteurizers for cheese milk, cream, and whey. Our lines cover flow rates from 500 to 50,000l/h. 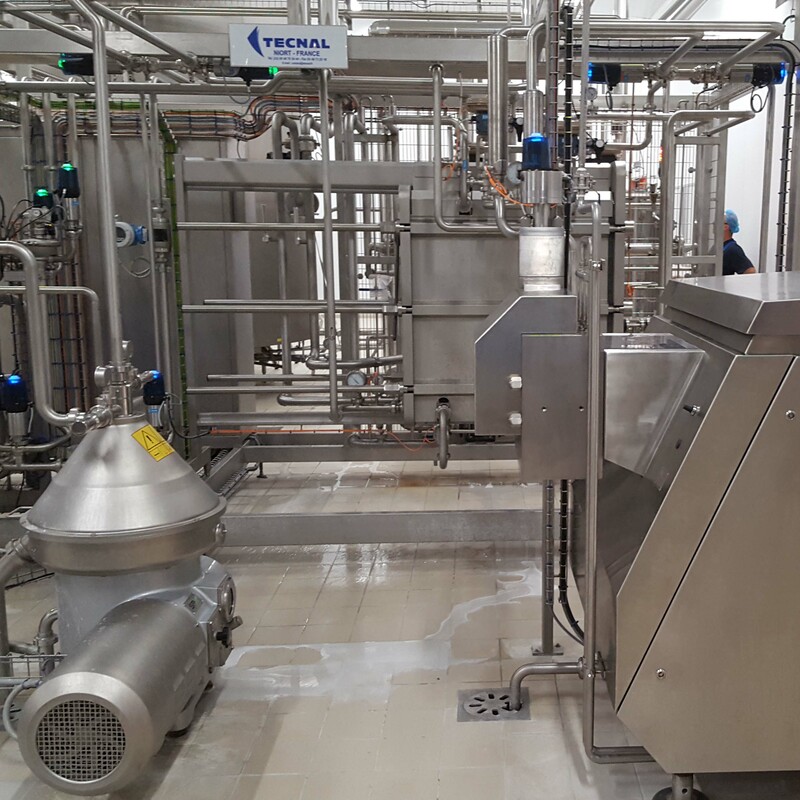 Temperature and duration of cheese milk pasteurization are important parameters that are precisely determined by Tecnal's engineering department to attain the desired milk quality. All of our designs are created in 3D and then built in skid form to allow delivery of assemblies that have been tested and are ready to be connected. 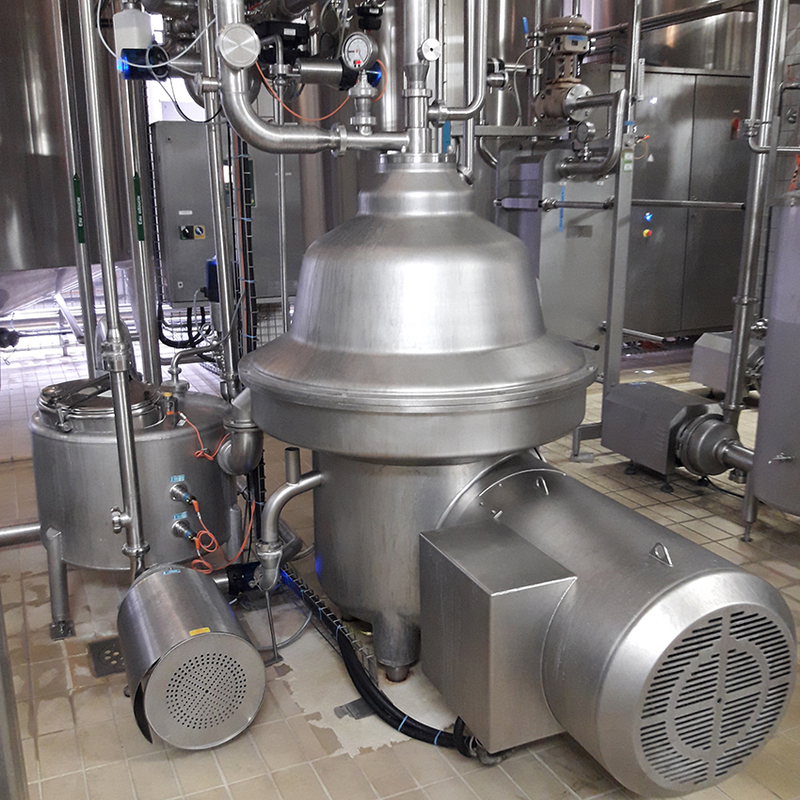 Milk pasteurization is an important step in the cheese-making process, a step on which compliance of the finished product with food safety standards depends. All of our designs are compliant with 2006/42/EC machines directive and 1935/2004 food safety certification requirements. Feel free to contact us for your IFS and BRC standards problems. 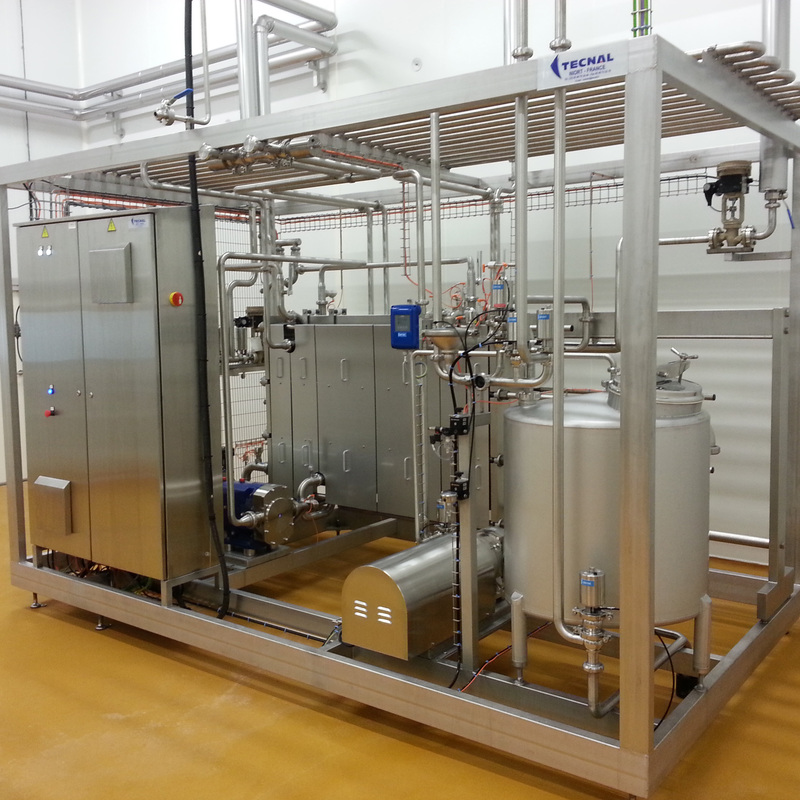 Tecnal proposes a full line of cream separators or centrifugal cheese milk and whey separators. Our line covers flow rates from 1,000 to 50,000 l/h. Tecnal's engineering department deploys its skills to meet our commitments in terms of residual fat level, energy consumption, and compatibility with your/our cleaning in place systems (CIP). Tecnal's engineering department can help you with standardization of Fat and Protein contents. Meet our sales team at Djazagro in Alger from February, 25th to 28th 2019.